You would think that Scooby Doo and the Mystery, Inc. team would do the smart thing, pack in the day job and just do something else. Especially given the nervous disposition of the titular hound and the constantly-spooked-out Shaggy. But like all mystery investigators, they're stuck trying to solve a rather suspicious situation in another haunted locale. Fred, Daphne and Velma join the two main characters in trying to uncover the secret behind a strange swamp girl and her cauldron of brew. This seemingly simple premise has the gang searching in areas beyond the swamp  the snow covered Alpine village and the Southwestern ghost town to name but a few. It will take all kinds of exploration and investigation to solve this one. Players can enjoy the cartoony combat and platforming action alone, or with a friend thanks to the drop-in, drop-out co-operative multiplayer. 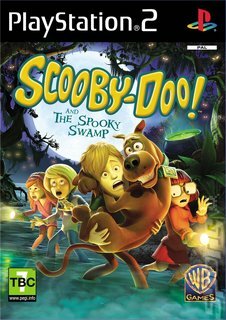 Use gadgets to uncover hidden clues, solve puzzles together to progress through the story mode and tackle a whole range of spooky enemies and epic boss battles. As you play further, you get the chance to unlock costumes for your characters to wear, while Scooby Snacks can be spent on accessories and other goodies. Get stuck into this classic caper and make sure those pesky kids can solve another mystery!